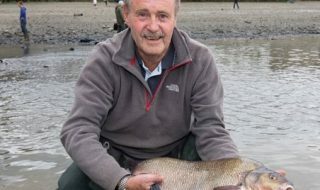 Tommy Pickering’s 241lb River Erne weight – caught on the fourth and penultimate day of the 2014 Mahon’s Festival in Ireland – sets a new match record for the famous venue by 15lb. 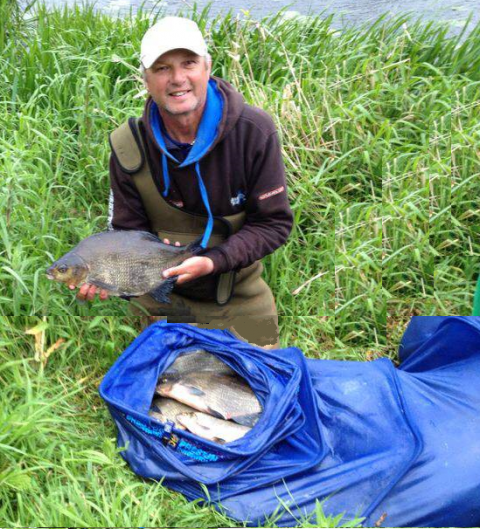 The catch of 58 bream to 6lb and six hybrids came from peg one on the Sligo Road section in Enniskillen, a peg from where Tommy was able to cast to under the town bridge. However, he had been told that it was a very good roach peg and went for broke with the bream because he wasn’t having a great week and needed a big weight to get back into contention. Tommy more than did that – going from 64th overall (out of 85) to 37kg ahead in one go, and going on to win the festival outright with over 130kg. Tommy actually decided to ignore the roach altogether, only setting up two feeders rods and missing a bite first cast. On the second cast he landed a 4lb hybrid and never looked back – at one point the watching crowds were timing him and he was taking only around 30 seconds from casting to hooking a fish. He then had the task of playing it through thirty yards or so of flow. 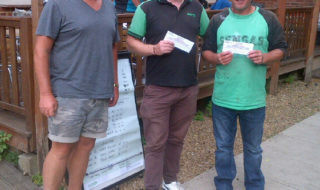 Tommy fished a 40gr plastic feeder with 0.12mm braid mainline, a three-foot 7lb hooklength and a size 12 hook baited with worm and maggot, getting through four pints of casters and a tin of corn during the match and picking up £2,000 for his festival win. 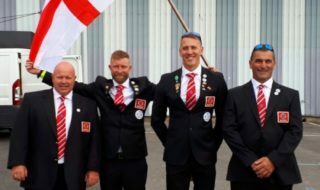 It’s by no means Tommy’s biggest match catch though – he famously weighed in 323-10-0 in the 1995 Embassy Pairs Final on Skanderborg Lake in Denmark. Mal Scott, originally of Vale Royal Angling, Northwich and Joey Mahon of Mahon’s Hotel, Irvinestown, Co.Fermanagh created the Mahon’s Festival fished alongside the prestigious Waterways Classic over 30 years ago. Mal, who passed away in 2011, passed over the business to his son’s Mike and Rod who learnt their fishing skills as youngsters in Ireland. Rod now carries on the matches in Ireland. Such is their relationship with Mahon’s Hotel, Mal’s ashes are kept on the bar.